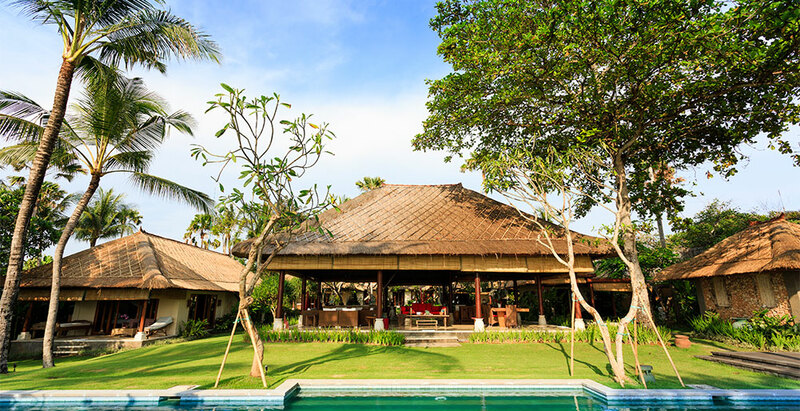 Villa Maridadi is a beautiful five-bedroom home beachfront home nestled between rice fields and the ocean in the traditional village of Cemagi on Bali's south-west coast. With traditional alang-alang roofs, lush tropical gardens, 18m swimming pool, lavish living spaces and spectacular views this villa exudes beauty in every way. Just metres from the black sandy beaches and sea temple of Pura Gede Luhur Batungaus, the villa is designed with relaxation and comfort in mind. Perfect for families, the warm and friendly staff ensure guests feel right at home, with a car and driver available for exploring.